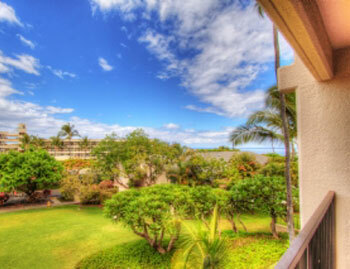 Kihei Akahi Condos for Rent in Kihei on Maui's South Coast ('kee-hay a-'ka-hee) is located in South Kihei directly across from Kamaole Beach Park II which is one of the best swimming beach on Maui. 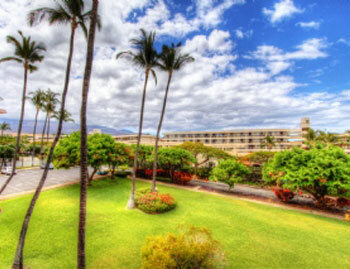 The Resort has two buildings of six floors each with elevators. 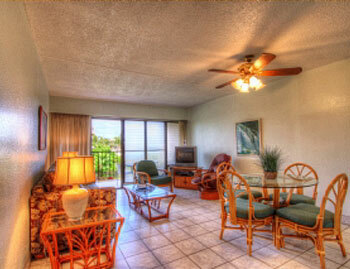 Enjoy Ocean Views and Garden Views. 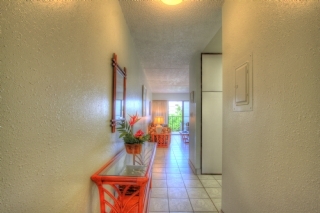 Affordable priced Condos and Family Friendly. 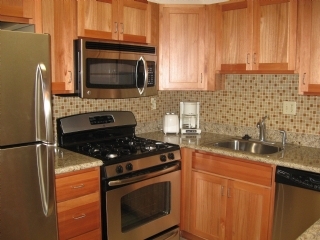 There are studios, 1 and 2 bedroom units available. 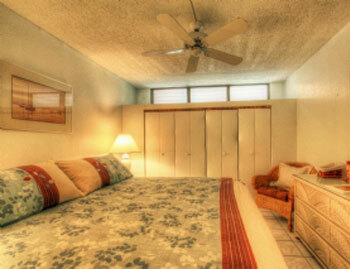 All the amenities you need for a fantastic vacation on Maui. 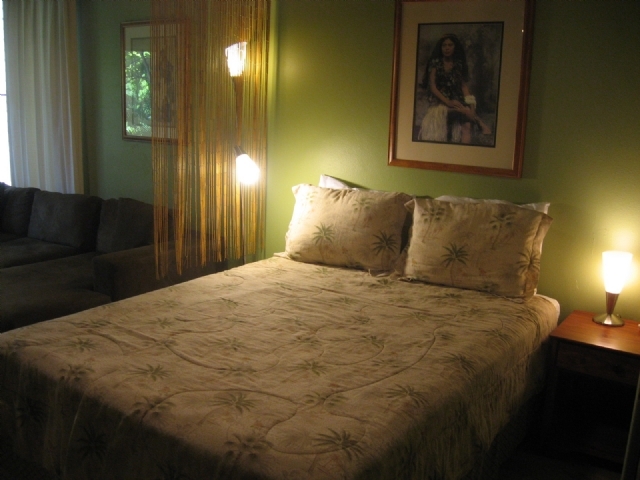 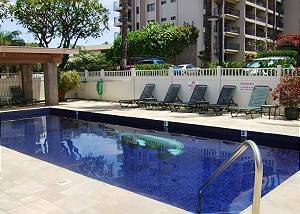 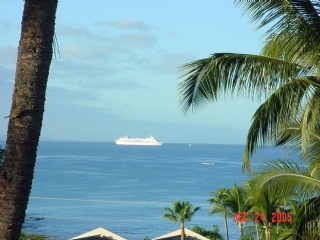 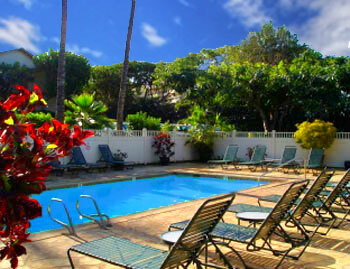 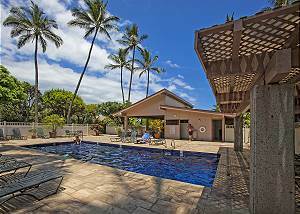 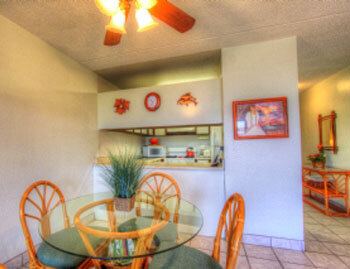 Kihei Akahi condos for rent are A FAVORITE of RETURN GUESTS!! 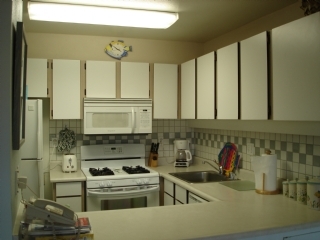 Unit C-217 is a ground floor remodeled one bedroom one bath unit with a full kitchen, washer and dryer, complimentary internet service, and a King bed in the Master bedroom. 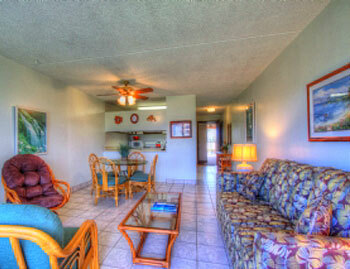 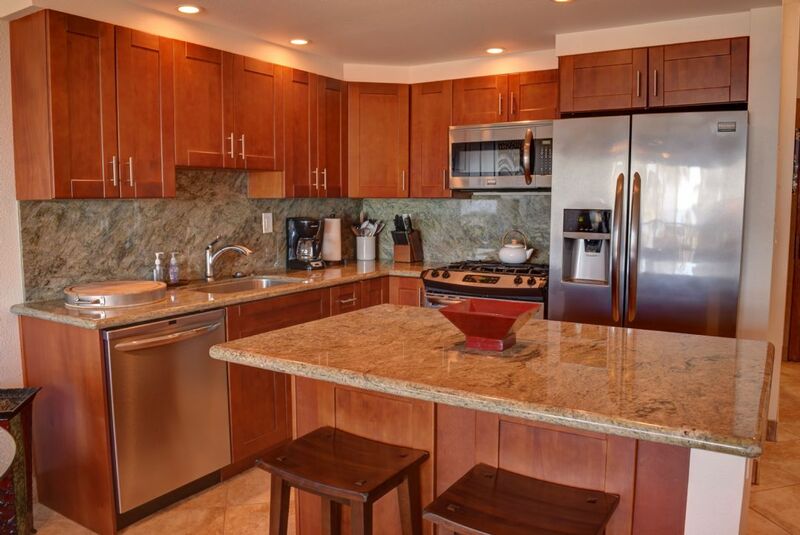 Unit D-412 is an ocean view, 1 bedroom 1 bath, located right across the street from Kamaole Beach II. 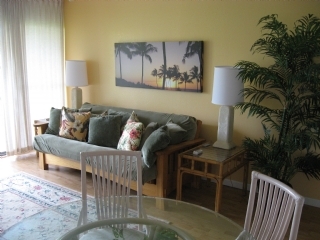 Kihei Akahi #D-G06 is a ground floor 1 bedroom 1 bath condo with a fully equipped kitchen, washer/ dryer, room AC in the living room and ceiling fans throughout.